In a follow-up to his 2013 book “Practical Vocal Acoustics,” Lawrence University Voice Professor Kenneth Bozeman has written a second book designed to help voice instructors better teach their craft. 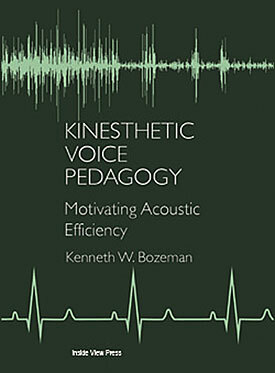 Featuring more studio applications of the principles he outlined in his first book, Bozeman’s just-published “Kinesthetic Voice Pedagogy: Motivating Acoustic Efficiency” explores the science behind harmonics, vowel perception and formant tuning while providing insights on how best to teach those concepts by using kinestetic, visual and physiological approaches. Topics examined in the book include remapping the open throat, sensation migration across range and comparisons of treble and non-treble voice training. In July (16-21), Bozeman will co-lead a seminar on topics covered in both books with Ian Howell of the New England Conservatory at Bjorklunden, Lawrence’s northern campus in Door County. The seminar is designed for voice teachers of high school, college or adult students; college voice majors and voice students who are graduate performance or vocal pedagogy majors; choral conductors who incorporate vocal training in their rehearsals and voice therapists specializing in the rehabilitation of singers. The Frank C. Shattuck Professor of Music at Lawrence, Bozeman is the chair of the voice department, where he teaches voice and voice science and pedagogy. He is a frequent presenter on voice acoustics at national conferences and association meetings and currently serves as chair of the editorial board of the Journal of Singing, the national publication of the National Association of Teachers of Singing (NATS). Bozeman joined the Lawrence conservatory faculty in 1977. A tenor, he has performed with the Milwaukee Symphony, the Wisconsin Chamber Orchestra and the Louisville Bach Society, among others. 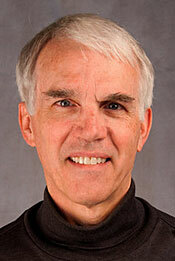 He earned performance degrees from Baylor University and the University of Arizona. He also studied at the State Conservatory of Music in Munich, Germany on a fellowship from Rotary International.